We have reviewed many imaging devices and only found one which falls within our budget and offers images of suitable resolution. 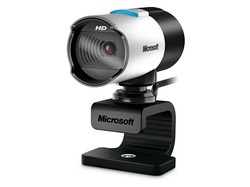 The camera is a Microsoft Lifecam Studio HD which costs around £70. It is attached via USB and is auto-focus with a macro mode to allow very high resolution images of skin lesions to be captured.